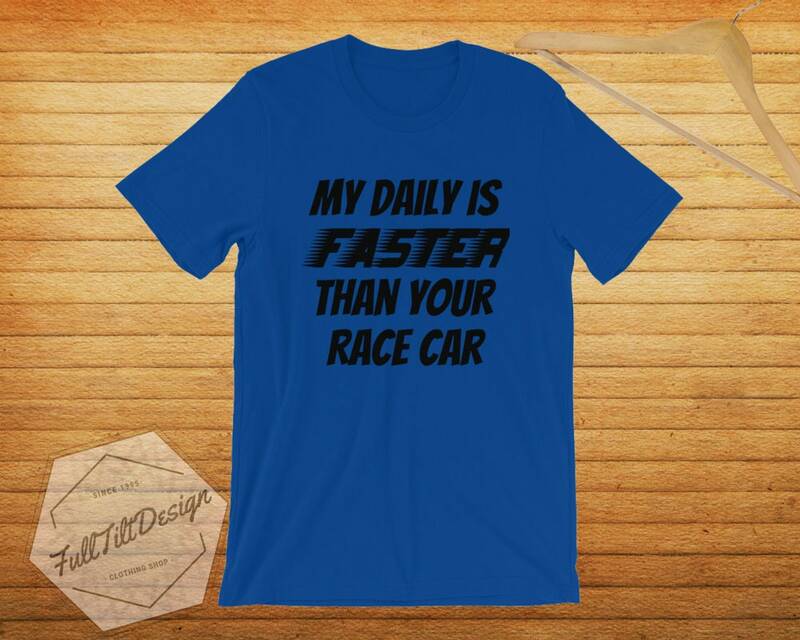 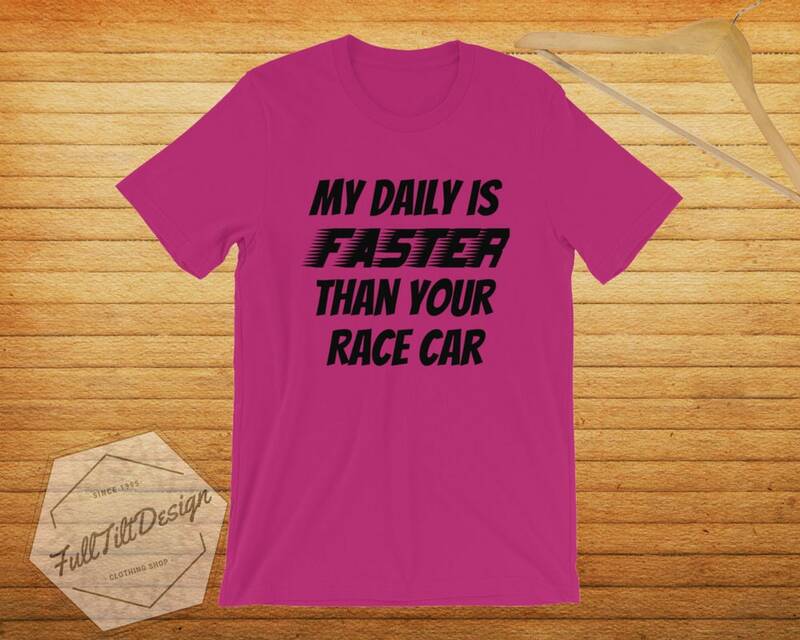 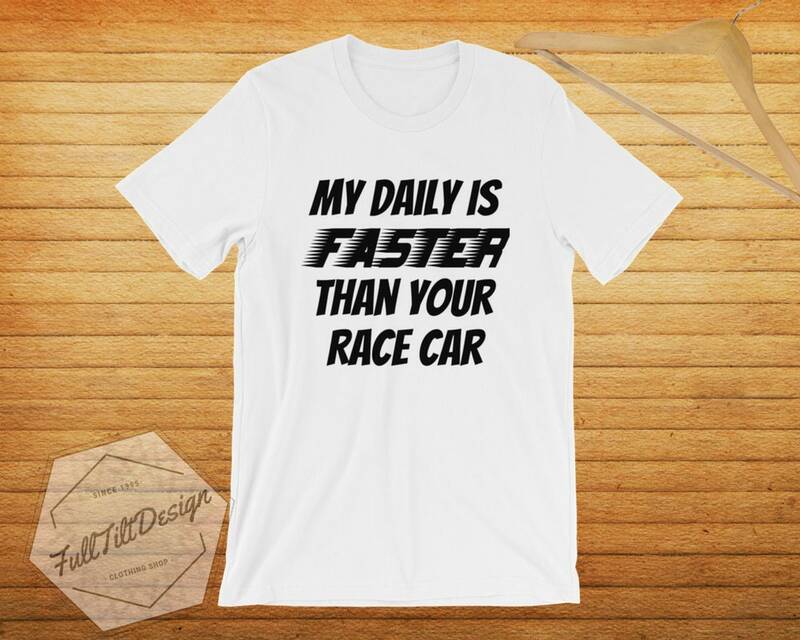 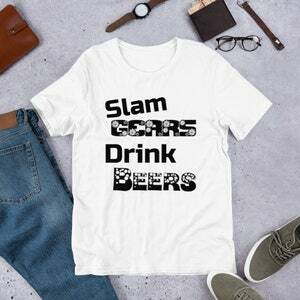 This shirt is made for those people who live life a quarter mile at a time. The ones who live life in the fast lane and don't know the definition of "Slow Down". We all know a car guy that is consistently making their "Daily" Faster and faster. 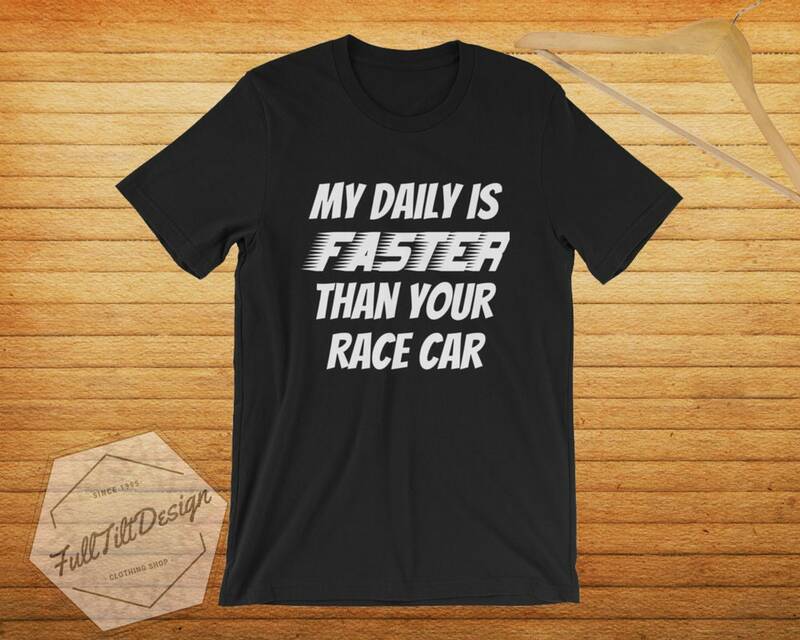 Maybe that Car Guy Is You! 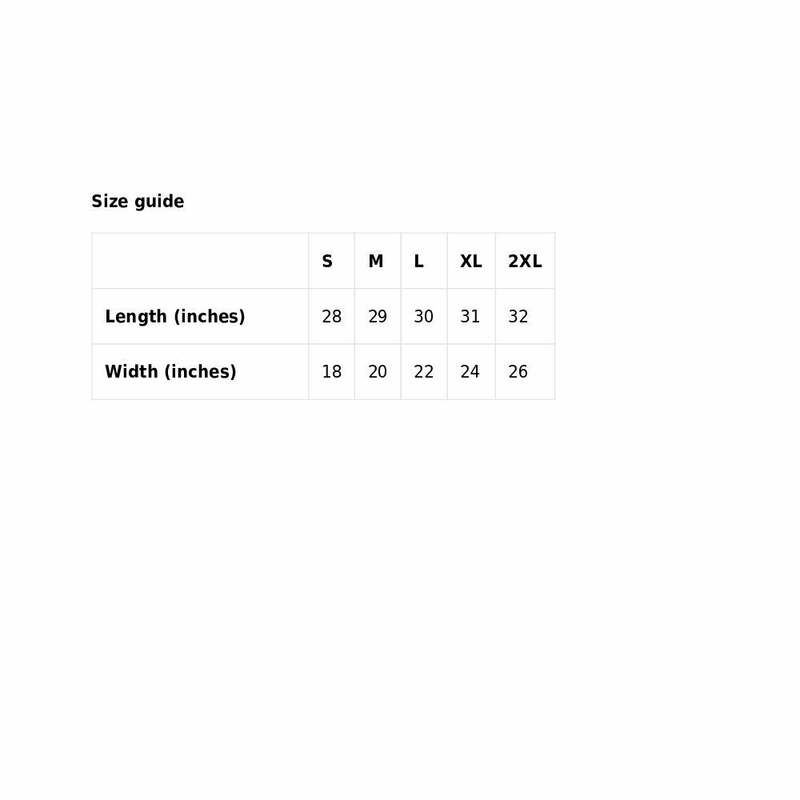 Grab the perfect shirt as a gift to yourself or someone that fits these criteria! 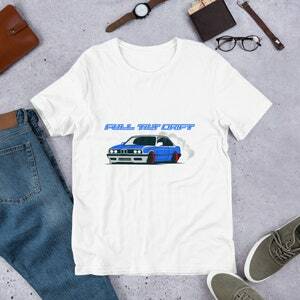 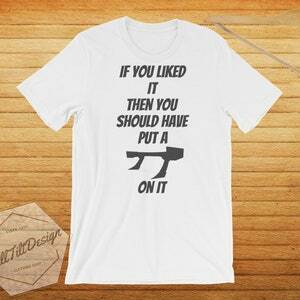 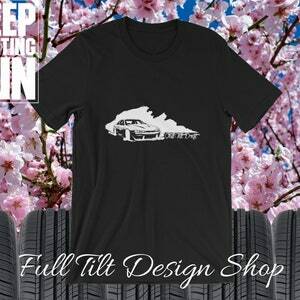 Check out our other automotive shirts for more great gift ideas at Full Tilt Design Shop!